Wash and dry the lemon, apples, broccolini, rosemary, and shallot. Trim and discard the bottom inch of the broccolini. Juice the lemon the lemon by cutting it in half and squeezing out 2 tbsp. of juice. Strip the rosemary leaves off the sprig and finely chop 1 tbsp. 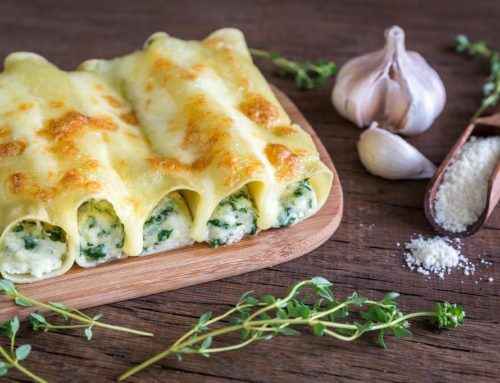 On a baking sheet, toss the broccolini with 1 tbsp. of olive oil and ½ tbsp. of rosemary. Bake the broccolini in the center of the oven, stirring halfway through cooking until the broccolini turns a golden-brown color, around15-18 min. Core the apples and then cut them into 1/2-inch cubes. Add 1 tbsp. of olive oil, the shallot, gala apples, and the other ½ tbsp. of rosemary. Cook, stirring consistently for about 4 minutes, or until the shallot is softened. Transfer the mixture to a medium bowl. Add the apricot jam and 2 tbsp lemon juice. Season the apple compote with salt and pepper and set aside. Heat another tbsp. of olive oil in the same pan. Add the pork chops to the pan and cook until desired temperature, at least 4-6 min per side. 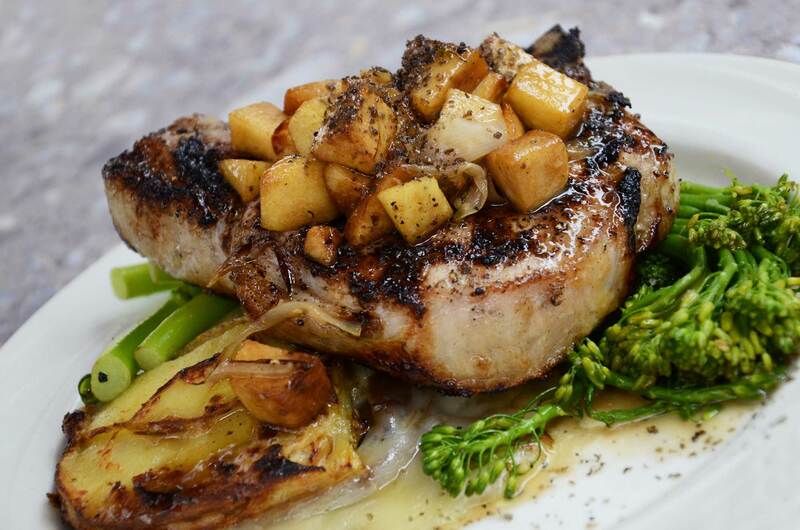 Plate the pork chops with the broccolini and top the pork chops with the apple compote.